A push to reverse its brain drain is providing the expertise to tackle its domestic problems. Koul took charge of the Institute of Microbial Technology (IMTECH), in the northern city of Chandigarh, in 2016, relocating from Johnson & Johnson in Belgium, where he was senior director and head of the respiratory diseases group. The move to IMTECH — a branch of India’s government-run Council of Scientific and Industrial Research — was atypical. Few scientists return to India after holding top positions abroad, and fewer still move into the less-lucrative public sector. The scientific landscape that Koul has returned to is vastly different from the one he left in 1998. India is now actively participating in and, in some cases, leading advances in pharmaceuticals, agriculture and energy. The country’s efforts in space exploration are a point of particular national pride. India is preparing for its second Moon mission in 2018 after a successful maiden Mars mission in 2014, and is spreading its wings in international astronomy collaborations. The country will host the third laboratory of the Laser Interferometer Gravitational-wave Observatory (LIGO) project in Hingoli, while the National Centre for Radio Astrophysics in Pune is working on the design of the ‘Telescope Manager’ — the central command system of the Square Kilometer Array. These could be signs that India is enjoying ‘brain gain’ — Indian researchers are returning to their country of birth with newly minted research skills gained while abroad. This is a far cry from the state of the country’s scientific sector 40 years ago, when entire cohorts of graduates from India’s research institutes left for US institutions in search of better economic and educational opportunities. But India still faces significant challenges. It is home to one-quarter of the world’s tuberculosis (TB) cases, and continues to be ravaged by mosquito-borne infections including malaria and dengue fever. Around 700 million Indians (56% of the country’s population) have no sanitation, 240 million have no access to electricity and 97 million lack clean drinking water. Natural disasters such as droughts, floods and storms — already common across Southeast Asia — are set to increase in frequency and ferocity as the world’s climate changes. It falls on publicly funded research to take the lead in finding solutions. Since India gained independence from British rule 70 years ago, every prime minister has emphasized the role of science in the country’s development. The current incumbent, Narendra Modi, told a meeting of leading Indian science officials in July that science, technology and innovation are the keys to the progress and prosperity of India and that the government aims to apply science to solve the country’s problems. 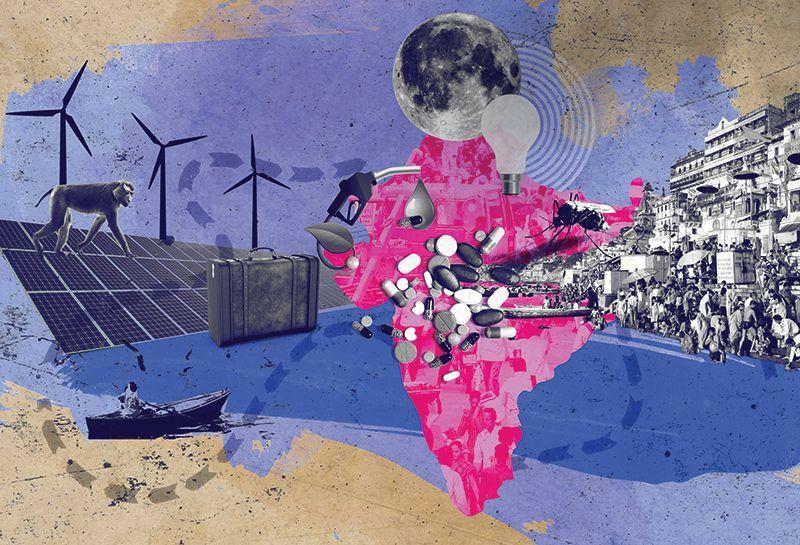 As various policy initiatives make clear, India is betting on science to address its pressing challenges in energy, environmental protection, food, water, sanitation, health care and unemployment. To achieve this, the government is hoping to find more scientists like Koul, who sees his role as an “opportunity to address bigger social as well as scientific challenges”. This is a tall order, and there’s an elephant in the room. Government funding for Indian research and development has stagnated at around 0.85% of gross domestic product for more than a decade, compared with at least 3% invested by technologically advanced nations such as Denmark, Japan and Sweden. Koul is nonetheless optimistic, and has helped to forge a collaboration between IMTECH and Johnson & Johnson, announced in August. They will work in parallel on four new molecules as potential drug targets and explore shorter, safer and more-effective oral treatment regimens for various strains of TB. Koul’s collaboration is well placed to take advantage of the success of India’s pharmaceutical industry. Building on the solid foundations of the country’s expertise in academic chemistry, major pharmaceutical companies have set up factories to make affordable generic antibiotics, vaccines, and diabetes and HIV medicines. This strength is paying dividends. According to Hyderabad-based Sathguru Management Consultants, India’s pharmaceutical industry was worth US$18.8 billion in 2010 and $41.1 billion in 2017, and is expected to expand to an estimated $72.4 billion in 2022. One-fifth of the world’s generic drugs are made in India, and around half of this manufacturing is based in Hyderabad. The production of generics has certainly helped the sector, but many people hope to see the country grow beyond manufacturing. “We now need to be recognized for new drugs that address unmet medical needs,” says Kiran Mazumdar-Shaw, managing director of biopharmaceutical company Biocon in Bangalore. The firm’s growing pipeline of biologics ranges from oral insulin for diabetes to monoclonal antibodies for use in cancer therapy. “There is incredible potential within India to become a powerhouse driving biopharma innovation in the Asian market,” says Vaz Narasimhan, himself a second-generation Indian American and chief executive of Novartis, a pharmaceutical company in Basel. The biopharma industry is increasingly looking for new types of talent, says Narasimhan. He gives the example of data analysts and mathematicians who he says are driving the next wave of medical innovation. Narasimhan’s confidence in Indian pharmaceutical development is significant. Most pharma companies have been reluctant to take on costly research and development to combat ‘poor-man’s diseases’ such as malaria and TB, says Soumya Swaminathan, one of India’s leading experts on TB. When asked, Indian pharmaceutical companies say they are reluctant to take up research in these areas, citing a lack of government funding for early-stage research, and reams of red tape once a product reaches clinical trials. In April, a collaboration between researchers in Germany and Anil Dayakar, an environmental activist in India, reported that Hyderabad’s pharmaceutical manufacturing was polluting the region’s water system to an “unprecedented” degree, and hurrying the development of drug-resistant forms of bacteria (C. Lübbert et al. Infection 45, 479–491; 2017). The researchers suggested that more regulation was needed to prevent further pollution in the region. The pharmaceutical industry in India is not the only source of contamination — pollution is common to many of the country’s cities, and India’s capital, New Delhi, spends its winters wrapped in smog. Krishna Ganesh, director of the Indian Institute of Science Education and Research in Tiruptai, hopes that science can help. “The focus in chemistry is now shifting into areas that involve green and sustainable chemistry,” he says. Research topics include non-toxic chemicals, environmentally benign solvents, organic production and renewable materials. “The main aim should be to get rid of toxic chemicals produced in industrial manufacturing,” and to prevent gases escaping into the atmosphere, he says. India’s strength in chemistry has aided its effort to become a leader in the interdisciplinary field of nanotechnology. It’s an especially tempting area of research because there’s a deep vein of funding to mine, says Kizhaeral Subramanian, a researcher in the department of nanoscience and technology at Tamil Nadu Agricultural University in Coimbatore. “Global funding for nanotech had increased from $1 billion in 2000 to $2 trillion in 2016,” he explains. On top of that, Subramanian says that the country has a strong talent pool to draw from owing to the proliferation of nanotechnology degree programmes across the country. From a developmental perspective, the field is a sensible focus as well. As India’s population swells further, the demand for food and clean water is rising. “Nanomaterials can help in water cleansing from bacterial and metal contaminants,” says Ganesh, and nanomaterials may also be able to help with crop protection. For example, Tamil Nadu Agricultural University is researching the production of non-toxic herbicides and fertilizers, as well as emulsions and films that improve the shelf life of fruits and vegetables. Of India’s 1.3 billion citizens, almost 20% still lack electricity. To help combat this, the country has launched an ambitious renewable-energy plan, broadly focused on solar and wind power. Overall, the country hopes to produce 175 gigawatts from renewable energy sources by 2022 — meeting around 20% of the country’s predicted electricity demand. According to Tata Narasinga Rao, associate director of the International Advanced Research Centre for Powder Metallurgy and New Materials in Hyderabad, India enjoys between 250 and 300 clear sunny days each year — ideal for solar technologies. The energy plan is helped by cheap land, a vast pool of talent to draw from and enthusiastic government support and infrastructure, says Rao. In a review published this year, the International Renewable Energy Agency lists India among the six countries — with Brazil, China, Germany, Japan and the United States — that accounted for most of the renewable-energy jobs in 2016. 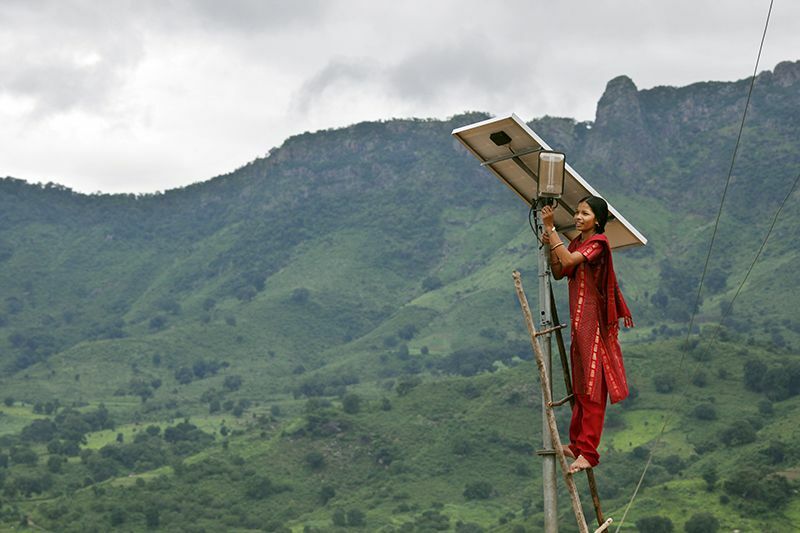 One research programme, the Solar Energy Research Institute for India and the United States, brings together the Indian Institute of Science in Bangalore and the National Renewable Energy Laboratory in Denver, Colorado, to accelerate the development of solar electric technologies by lowering the cost of production. As part of this venture, scientists developed a new nanotechnological solar absorption system in 2015. The prototype, Rao says, costs half as much as the non-vacuum tubes currently used in solar collectors worldwide and have enormous potential for industry. There are local quirks to take into account before any company starts cashing in on a solar goldmine. Manufacturers still haven’t worked out what to do about monkeys and rats, which relentlessly and indiscriminately chew telephone, electrical and fibre-optic cables across the subcontinent. Meanwhile, Indian researchers are using crop residues, normally burnt as waste by farmers, to develop advanced biofuel systems and products such as biogas and biomaterials. “India’s strong knowledge base in biotechnology, chemistry, engineering and process engineering can be tapped to do research in the biofuel sector,” says Ahmad Kamal, a chemist at the Indian Institute of Chemical Technology in Hyderabad. To achieve its grand ambitions, India needs to nurture its new-found brain gain, and is fighting to make itself as attractive as possible through the Department of Science and Technology (DST), one of India’s largest research-funding agencies. In June, for example, the DST announced endowments of $10,000 a month for researchers who choose to move to India from labs overseas. Thukral uses high-performance computers to study the movement of biological structures and to model protein folding. After a PhD in Germany, and a postdoc in the UK, she returned to India in 2012 under another DST scheme. Meanwhile, the Indian government plans to develop 20 existing universities into ‘world class’ research institutions with an incentive of $1.54 billion of funding. Policymakers hope this will free the country’s best universities from reliance on the country’s grant commission and associated red tape, and encourage greater institutional autonomy.